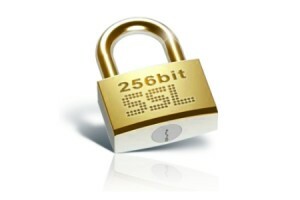 Secure Sockets Layer certificate, abbreviated SSL certificate, is like an Internet passport for a website of any kind. The website uses this SSL certificate to authenticate itself to the browsers and visitors using those browsers. It is also a tool that encrypts information which are shared between the website and the visitor. The appropriate SSL certificate is very useful and helpful, because it gains the visitors’ trust, they are more confident in the website and have no fear that they will fall victim to phishing scheme or identity theft. An appropriate SSL certificate is helpful in raising the conversion rate, thus it makes the website more effective. Because of the fact that there are various SSL certificates available, SSL certificate reviews helps website owners to decide which one to choose. There are four main types of SSL certificates: Domain SSL Certificate, Standard SSL Certificate, Wildcard SSL Certificate and Extended Validation SSL Certificate. Domain SSL Certificate is the lowest and The Extended Validation SSL Certificate is the highest level of validation. Extended Validation SSL Certificate, as mentioned above is the highest possible level of validation and it has the effect in turning browser bar into green color. This certificate is verification that the organization behind the website is active and legally registered, phone number and the address of the organization are verified, and it verifies that certain organization is not present on some government blacklist and has the low risk for phishing schemes. In general SSL certificates are suggested for websites that are online stores and/or accept online orders and credit cards, visitor logs in to confidential extranet information or website offices share confidential intranet information. Also, if the website processes some data such as licence or ID numbers, birthday or address, or simply website owner values privacy and expects to be trusted.